When sports stars play out their final few years in an upstart, foreign league, they’re almost always doing so for the paycheck. That’s what makes it so fun to watch the few of them who take the opportunity seriously, thrive, and develop a bond with their new country. Stephon Marbury was perhaps an unlikely candidate to be a part of this latter group. Whether fairly or not, the lasting image of Marbury in the NBA is of a good player who never made full use of his talent, and who feuded with somebody at nearly every stop of his career. But by all appearances, Marbury has prospered in China, especially since joining the Beijing Ducks in 2011. In March he won his third championship in four years with the Ducks (after the first one they built him a statue), and he was recently granted a permanent residence permit. He’s one of only 5,000 foreigners with a permit, and probably the only foreign celebrity with one. So what do you get the man that has money, fans, belonging, and a freaking statue? A museum, apparently. 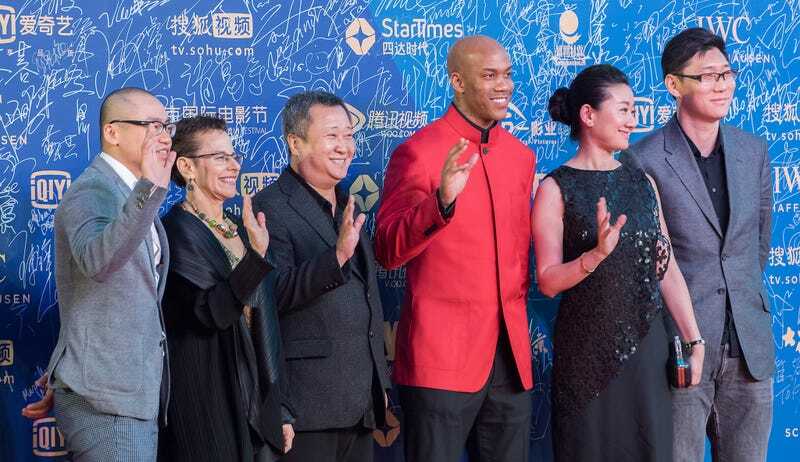 ESPN reports that The House Of Marbury Museum opens in Beijing next Monday, and Marbury attended the grand opening yesterday. From the video below, it looks like a pretty cool little museum, showcasing jerseys, trophies, and photographs from Marbury’s career.